Palm tree species are available in a large assortment of colors, shapes, and sizes. They are the perfect choice for adding tropical color, texture, and style to your interior décor, as well as your outdoor landscape design. Some palm tree species will be better suited than others, depending on your climate and design requirements. Making the right choice will ensure your palms thrive and prosper. 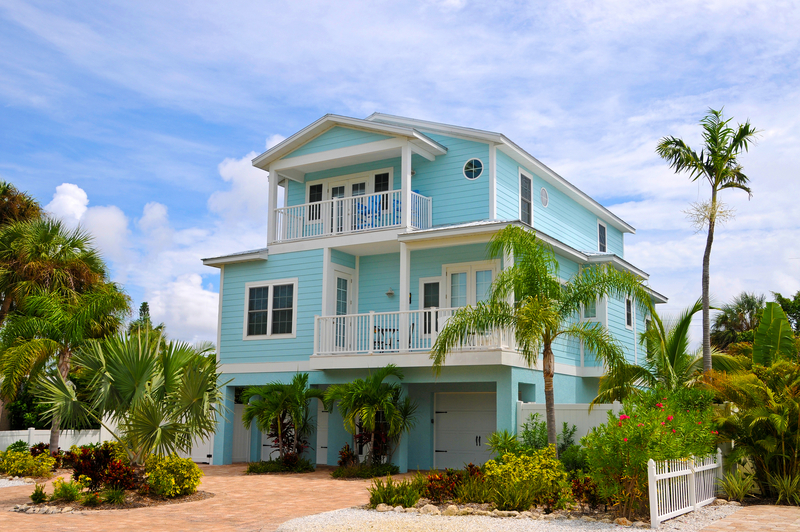 Plant requirements should match the conditions in your home or landscape. The most important requirement for palm trees planted in the landscape is climate. 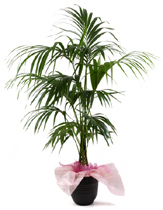 Be sure the palm is suited to the climate of the hardiness zone you live in. 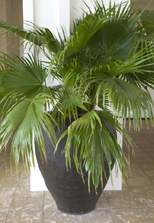 For indoor palms, it is important to accommodate lighting, temperature, and humidity requirements. Your lifestyle should allow for proper palm tree care. If your palm requires a lot of watering, you, or someone trustworthy will need to check the soil often. For indoor palms, consider a silk palm tree if you want the tropical look without the maintenance requirements. 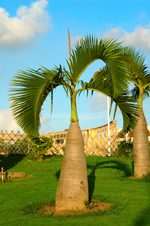 Palm tree species come in a variety of sizes and styles – from small and elegant to big and bold. Be sure to choose a size and style that complements your interior décor or landscape design. Palms should look sturdy, clean, and healthy. If you are buying a palm tree from a nursery or garden center, check the tree for unhealthy signs including yellow leaves, wilted foliage, and spindly growth. Thoroughly check plants for signs of insects and disease. Consider buying palm trees online. 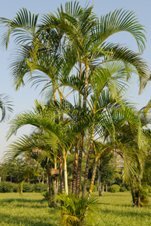 You have access to multiple suppliers that offer a large selection of palms. Local nurseries and garden centers can only afford to stock a limited amount of choices during specific times of the year (usually spring and summer). Palm Tree Species – What are Your Options? 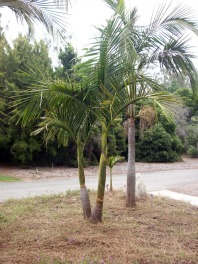 There are a variety of palms available that are suitable for your home, office, or landscape. 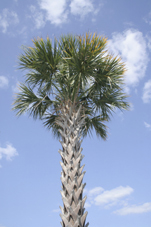 Review the list of palm tree species below for options to consider. The Areca Palm Tree, also known as Chrysalidocarpus lutescens, reaches 6 to 7 feet tall when grown indoors. Feather-like fronds fan out from yellow-orange stalks. Place in indirect, medium to high lighting. The Bamboo Palm Tree, also known as Chamaedorea erumpens, reaches 4 to 12 feet in height. Lacy fronds droop from bamboo-like canes. Bamboo Palms thrive in shady interior locations. The Archontophoenix cunninghamiana palm tree, also known as King Palm Tree, Bangalow Palm, and Piccabeen Palm, is an elegant, fast-growing palm native to Australia. This palm tree can grow up to 40 feet tall and 15 feet wide. With their striking silver-blue fronds, Bismarck Palm Trees (Bismarckia nobilis) make a dramatic impact when planted along a long, winding driveway or wide walkway. These palm trees are popular in commercial and large residential settings. Bottle Palm Trees (Hyophorbe lagenicaulis) are known for their bottle shaped trunks as well as their upward arching fronds. They palms add tropical flair when planted as a focal point or accent in the landscape. Chinese Fan palms (Livistona chinensis) add tropical elegance when planted along a long, winding driveway or wide walkway. The Foxtail Palm Tree Wsodyetia bifurcata) is a magestic, fast-growing palm native to Australia. Like the name suggests, the palm fronds resemble the fluffy tail of a fox. 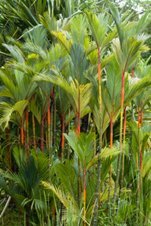 Kentia Palm Trees (Howea forsteriana) have slender green trunks with crowns of drooping dark green fronds. These palm trees prefer bright, indirect light. A kentia palm tree adds graceful tropical beauty indoors as an exotic house plant, as well as outdoors in the garden or landscape. Lady Palm Trees (Rhapis excelsa) range from large to small. Dark green, fan-shaped leaves top bamboo-like stalks. 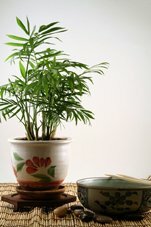 A lady palm tree adds tropical beauty indoors as an exotic house plant, as well as outdoors in the garden or landscape. Lipstick Palms (Cyrtostachys renda) are known for their unique red trunks as well as their feather-like fronds. They add vibrant color when planted as an accent or focal point in the landscape. 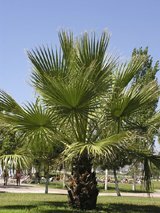 Mexican Fan palms (Washingtonia robusta) are known for being cold hardy palm trees as well as having a fast growth rate. 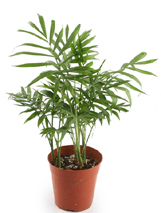 Parlor Palm Trees (Chamaedorea elegans) – Pale green and single-stemmed, this indoor palm looks best when several stems are potted in a single container. 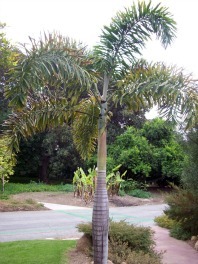 The Parlor Palm thrives in moderate to bright light and high humidity.